During the month February, the City of Acworth recognized and proclaimed February 17 Tuskegee Airman Leonard Collins Hall, Jr. Day. 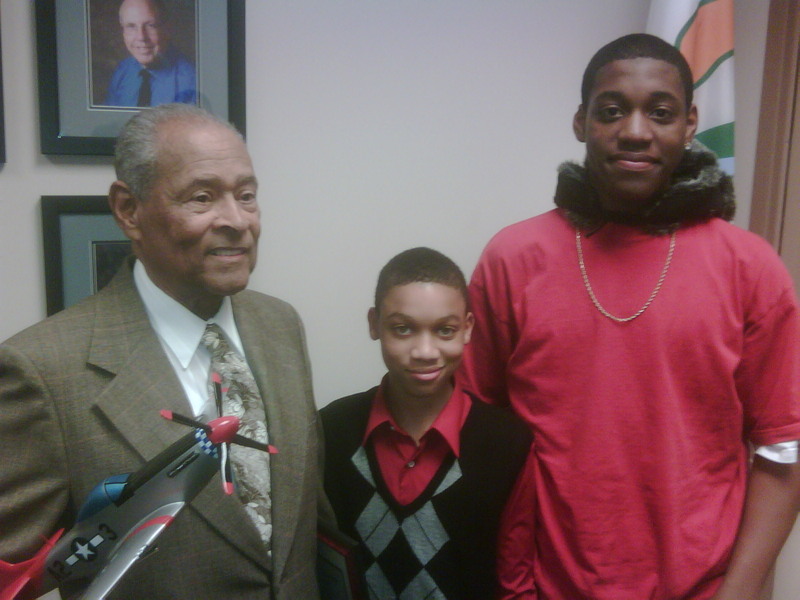 With assistance from the students of the Acworth Achievers Mentoring and After School Program, Mr. Hall received the original proclamation and a rare plaque which featured the signature Tuskegee Airmen P-51 World War II fighter plane. The Tuskegee Airmen were the first African Americans to serve in the United States of America Army Air Force. During the era which this was accomplished, the Tuskegee Airmen not only fought in World War II but also faced many racial struggles and barriers in their homeland. Mr. Hall was accompanied by his daughter Attorney Angela Brown who was also recognized as being Cobb County’s First African American female District Attorney.